Zoe wakes up after spending the night with Wade. He walks out of the bathroom in a towel and George walks in her room. Both men are still not over Zoe and she's not sure who she wants to be with. She visits George and he says that she belongs with Wade. He decides to do whatever he can to forgot her. Wade shows up with a six-pack of beer and Zoe gets upset. She decides to go to the wedding in New York on her own. 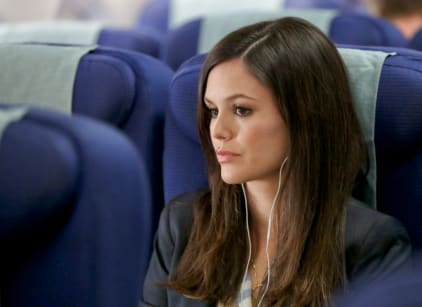 On the plane, someone needs help and she finds out Jonah is also on her flight. They help the patient and then drive to get to Atlanta and another flight to New York. Jonah says that she should spend the summer in New York. Lemon and Wade take a road trip to try and convince Gloriana to play at the Rammer Jammer. Wade isn't over Zoe. Lemon doesn't understand why everyone falls for her, including Jonah. When they see that Zoe landed nearby Wade wants to go after her. They end up meeting up at a restaurant. Wade tells Zoe that she saw the good in him that he didn't. She made him better and he knows that now. Zoe can't reciprocate the feelings and says she's spending the summer in New York. Lily Anne helps George write a song to get over Zoe. She sets him up to perform it. Afterward, she asks him to go on tour with her to sing. He leaves with her. The rival mayor steals Burt Reynolds. Lavon and townspeople work together to try and get him back.